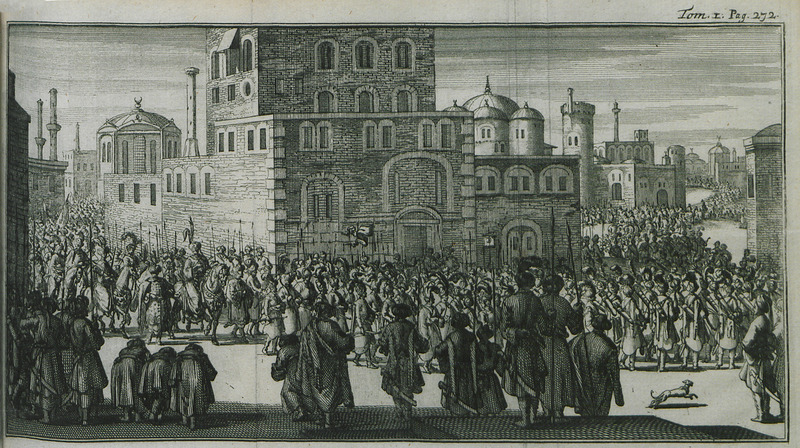 The Sultan marches to the mosque. A fountain and mauseleums in Eyüp district, Istanbul. 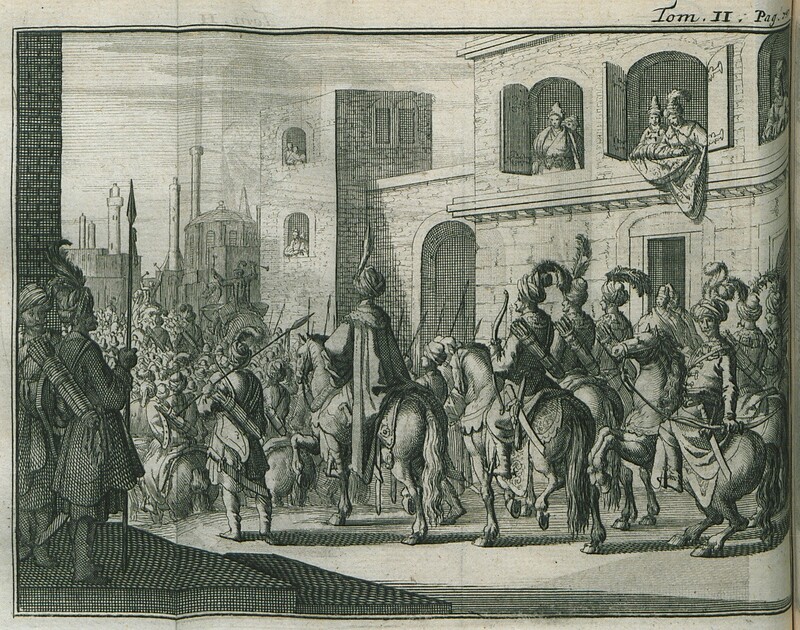 The Sultan rides to the mosque escorted by his guards and other Ottoman officials. 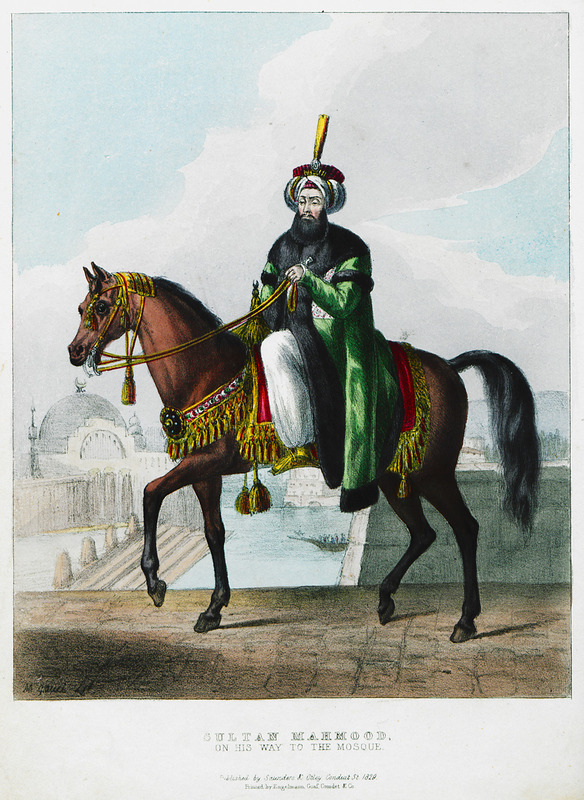 Sultan Mahmud II on his way to the mosque. 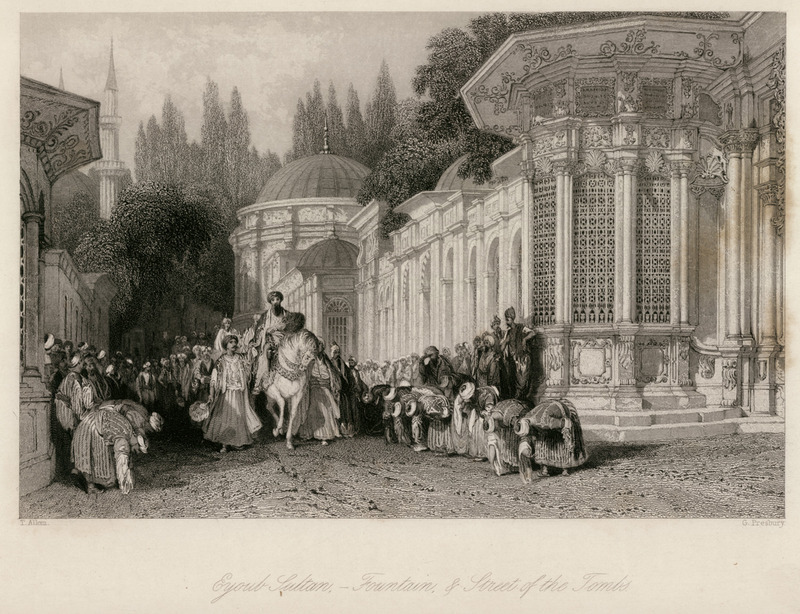 The march of the Sultan from Topkapi Palace to the mosque, on the day of Bayram. 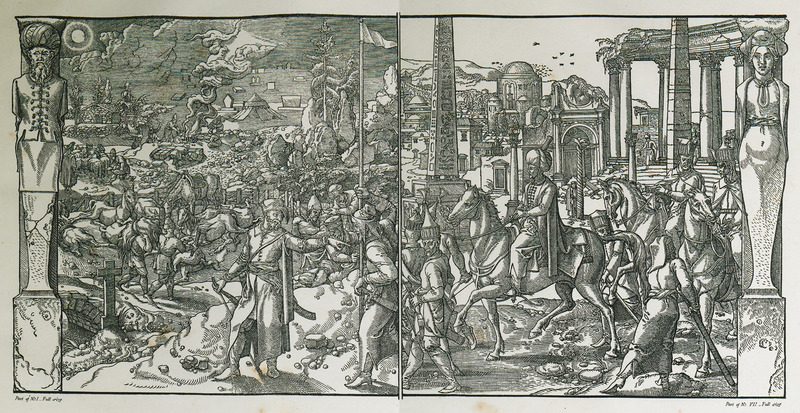 Wedding ceremony, most probably of Ottomans of higher rank. Title page. 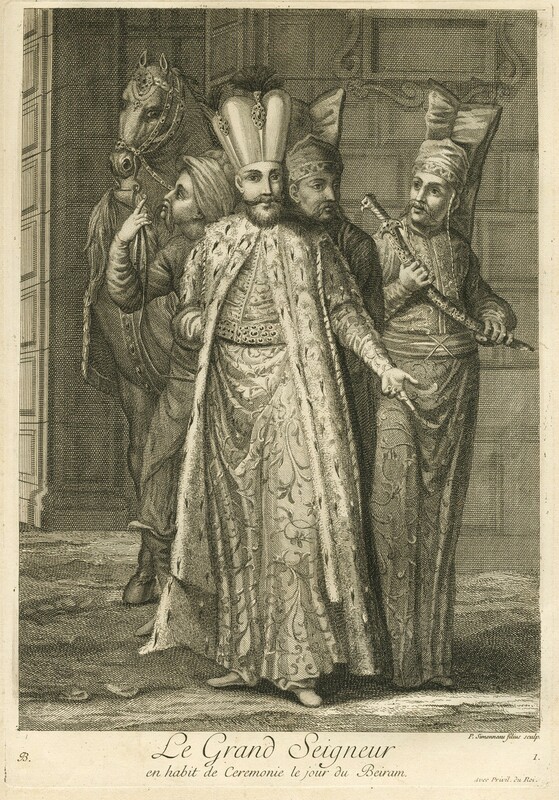 Sultan Mahmud II returns to the Palace from the Mosque. 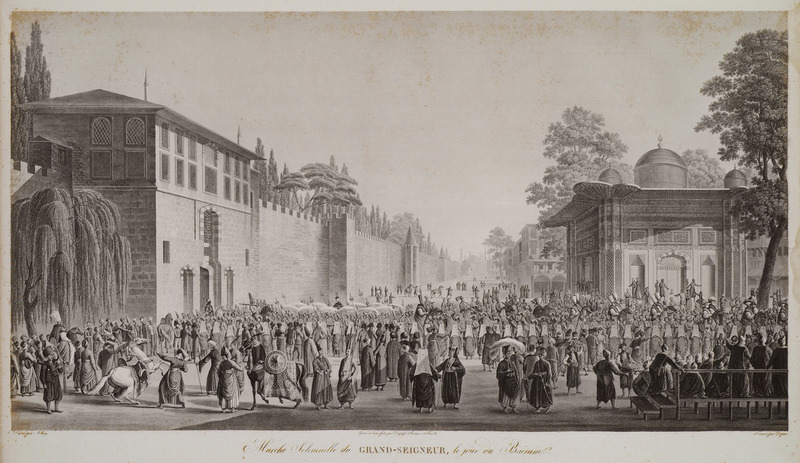 The march of the Sultan from the Palace to the mosque on the day of Bayram. 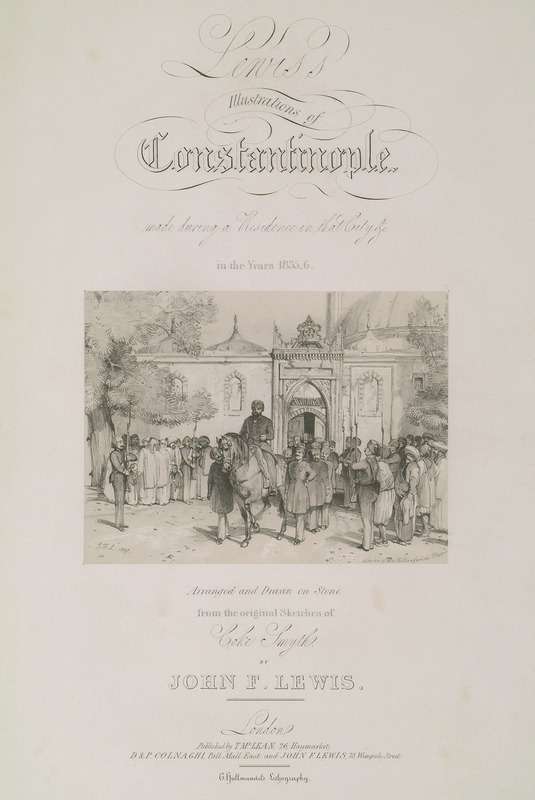 Frontispiece of the first volume: The march of Ottoman officials. 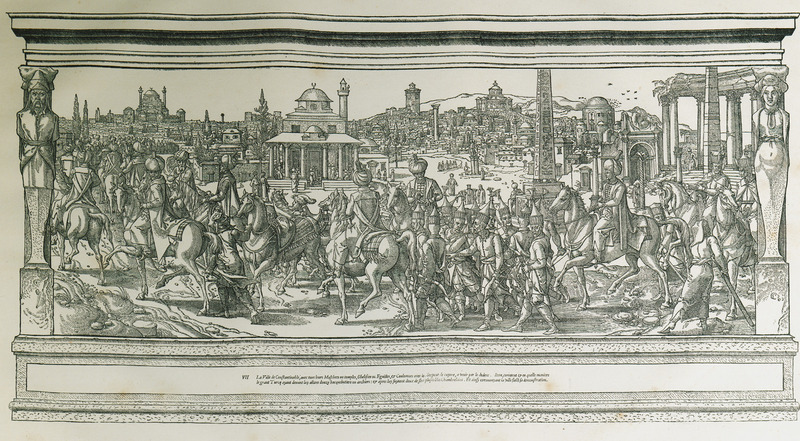 The march of the Sultan from the Palace to the mosque on the day of Bayram. 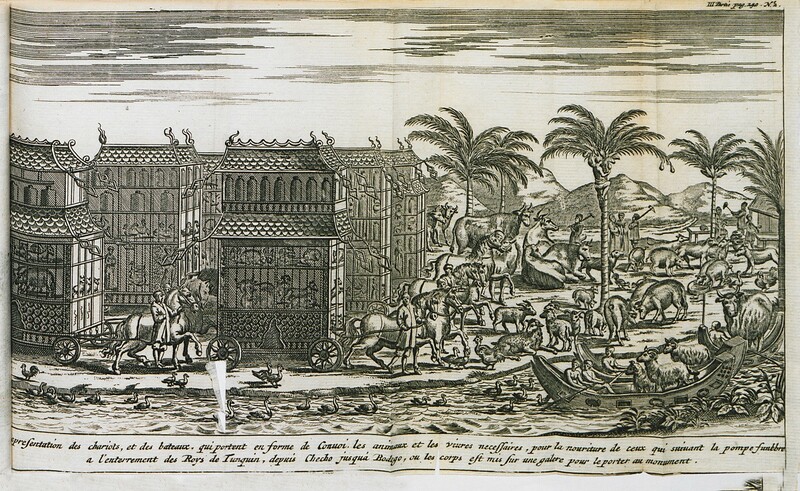 Frontispiece of the second volume: The departure of the Sultan from the Palace. Religious procession near Hatzi Mehmet fountain in Thessaloniki, c. 1875. The Byzantine Hippodrome, Istanbul. 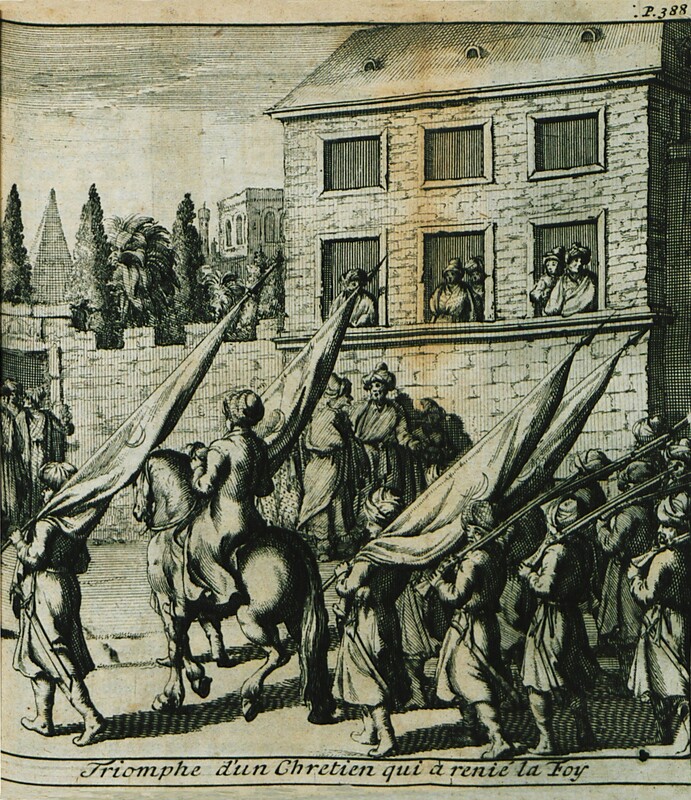 Procession headed by the Sultan. 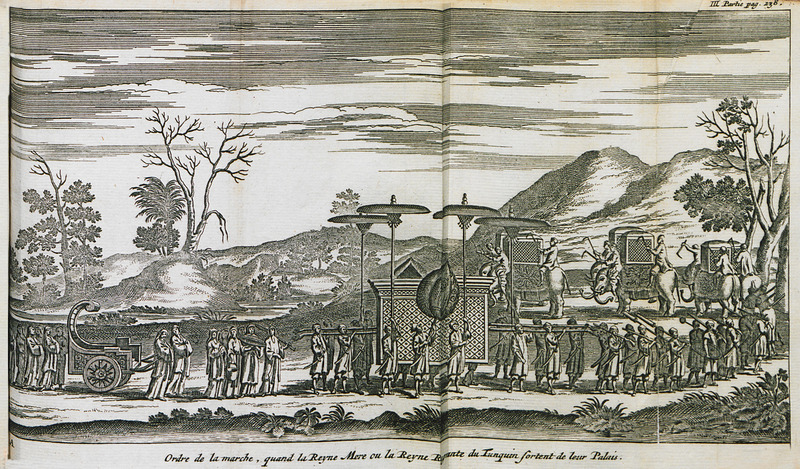 Composition: Scene at the craggy mountains of Slavonia, historical region pertaining to modern-day Croatia (left), procession headed by the Sultan (right). 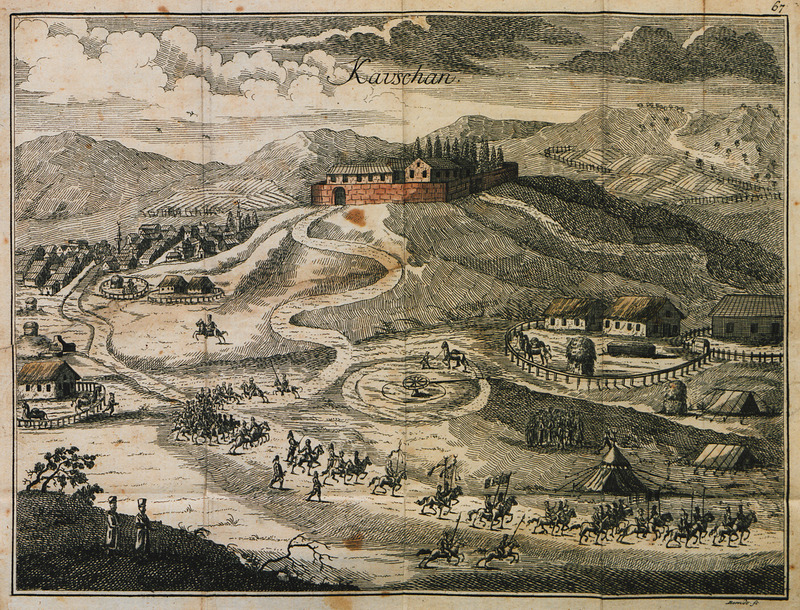 View of Kauschani (today Cǎuşeni, home to Tatars descended from Crimaea, in Moldavia. 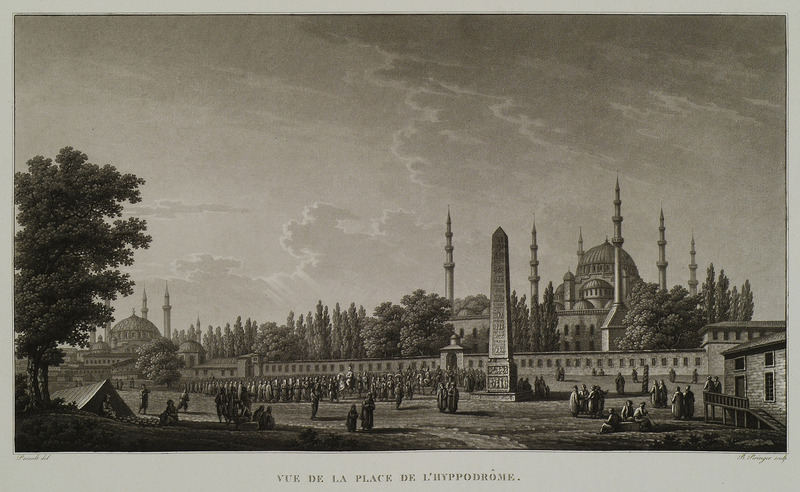 View of the Hippodrome of Istanbul and the mosque of Sultan Ahmed I. On the left, Hagia Sophia. Top: The king of Tonkin (Vietnam) exits the palace. Bottom: The king of Tonkin (Vietnam) leaves for war. 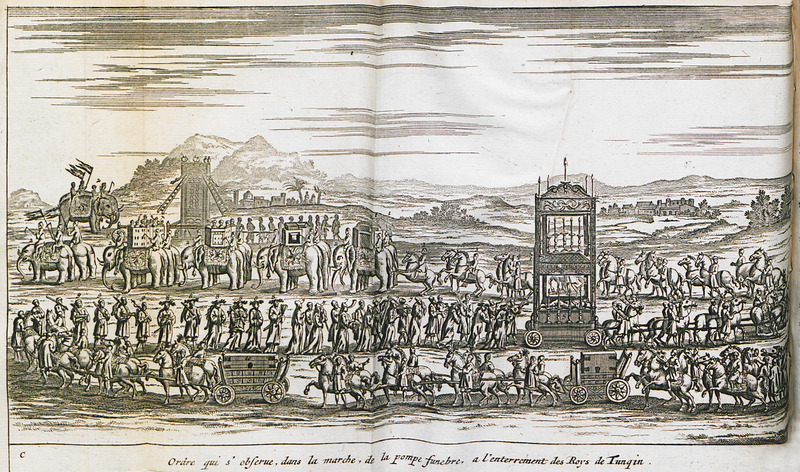 Procession which escorts the queen mother or the queen of Tonkin as they exit the palace. 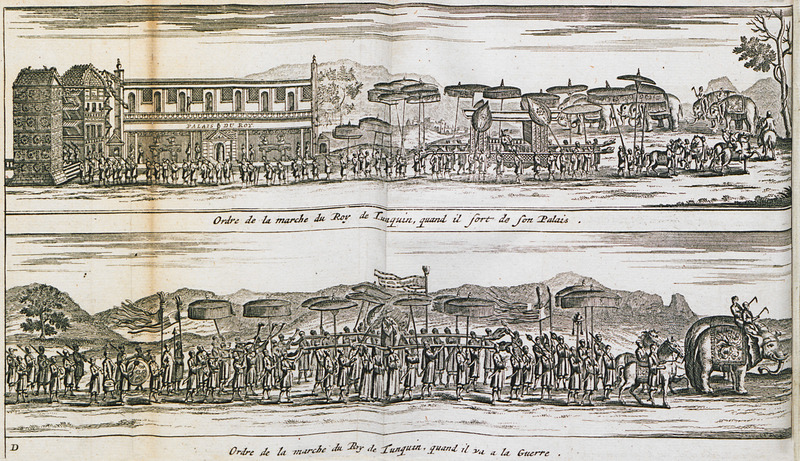 Funeral procession of the king of Tonkin (Vietnam). Carriages with livestock and other provisions leave Hanoi. They are destined to feed the soldiers and other followers of the funeral procession of the king of Tonkin (Vietnam). Funerary procession of the king of Tonkin (Vietnam). 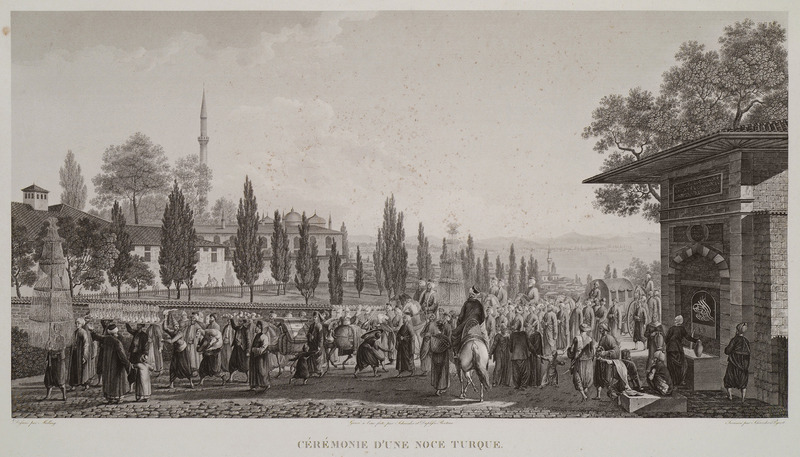 Procession accompanying the Sultan from Topkapi Palace to the mosque. 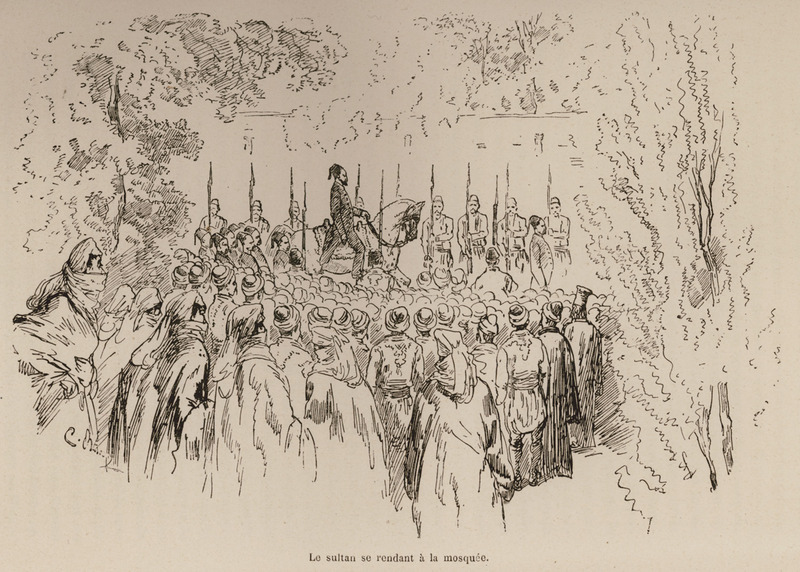 The Bey (Ottoman official) of Upper Egypt, enters in Cairo. 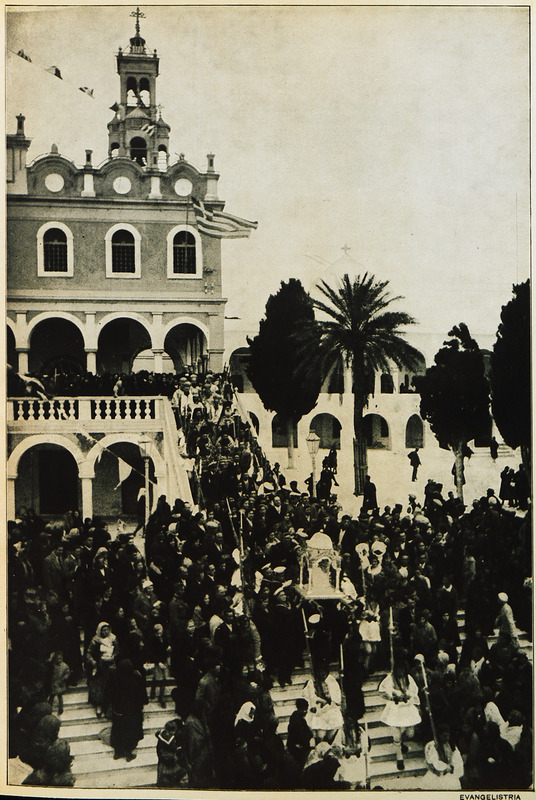 The procession of August 15th (Dormition of the Virgin), Tinos. 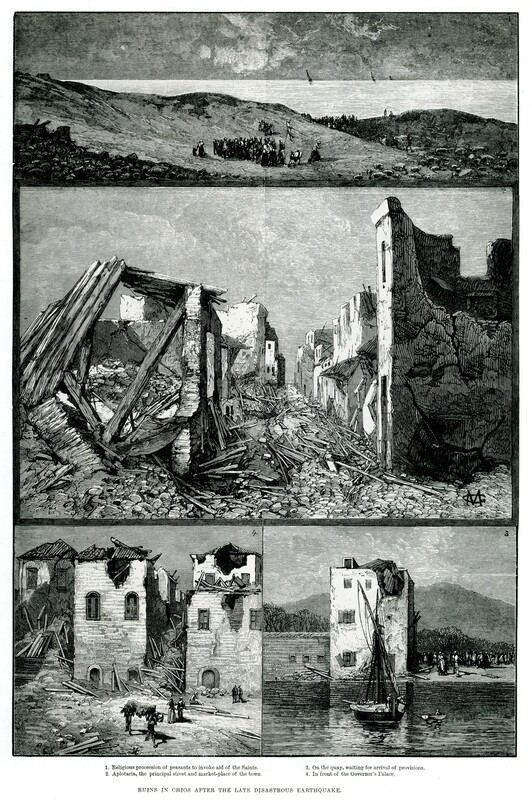 Snapshots of the days after the devastating earthquake of Chios in April 1881: 1. Procession 2. 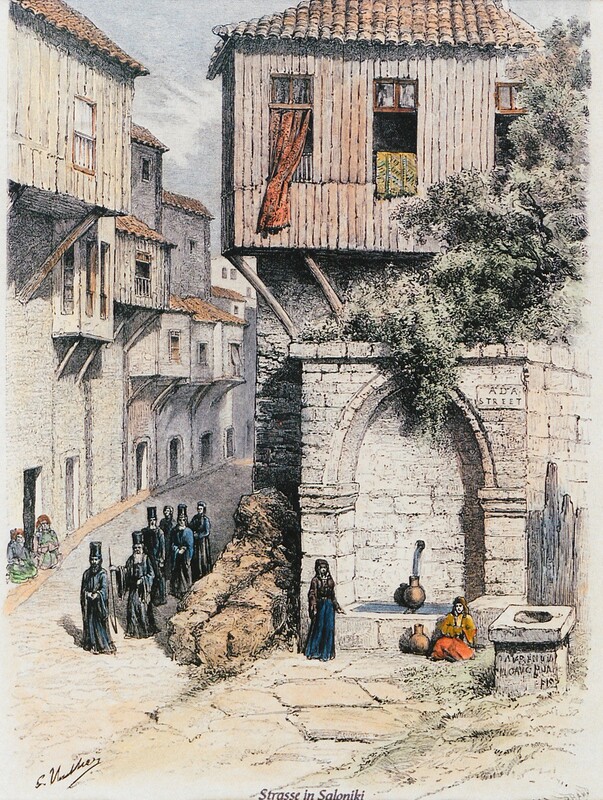 Ruins of houses at Aplotaria, main street of the town of Chios. 3. 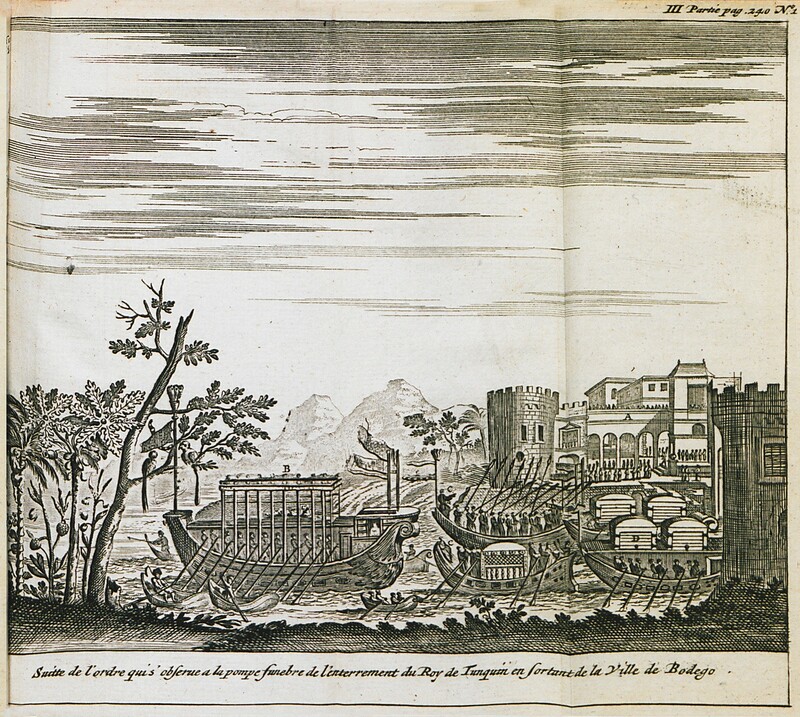 Residents of Chios awaiting the arrival of provisions. 4. Ruins before the Governor's palace. 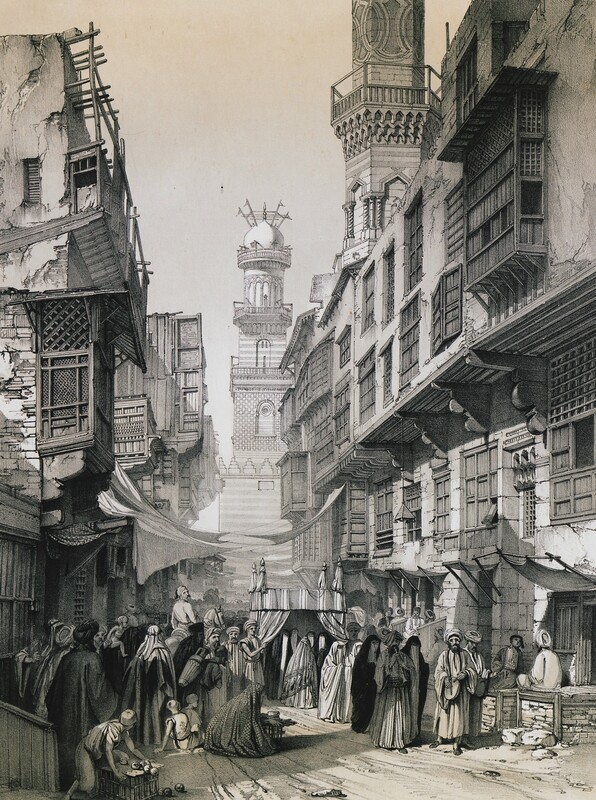 The minaret of Qalawun complex at Bayn al-Qasrayn, Cairo. 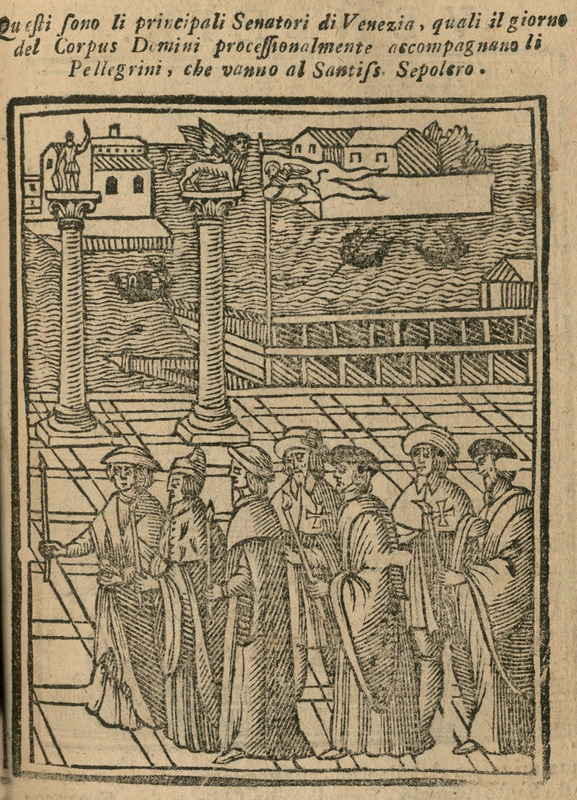 In the foreground, a wedding procession.